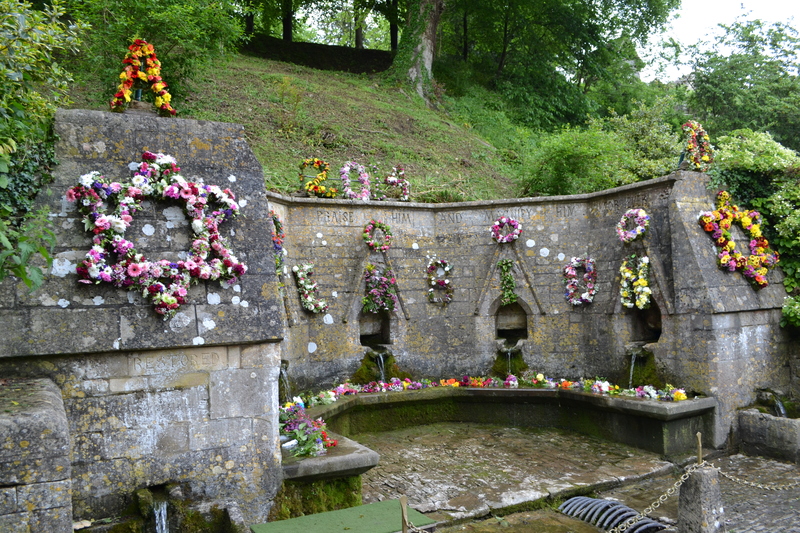 Youlgrave’s well dressing is one of the oldest and best of the county’s well dressing. 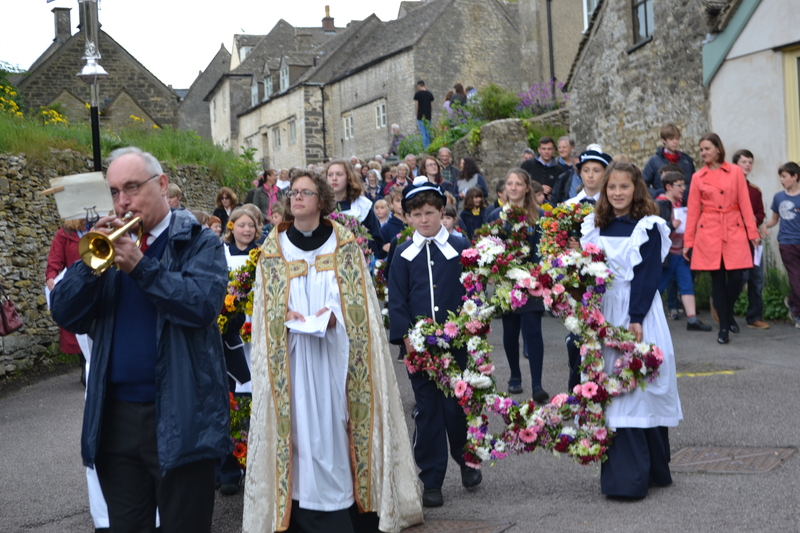 It takes place on the weekend nearest the Feast of St. John the Baptist. Well dressing is a strong tradition in Derbyshire, especially the picturesque Peak region. Well dressings of varying quality spring up at any old well, pump, site there of, drain or paddling pool! Fortunately, Youlgrave or Youlgreave is not one of them! Although not strictly speaking a well…rather a pump dressing! 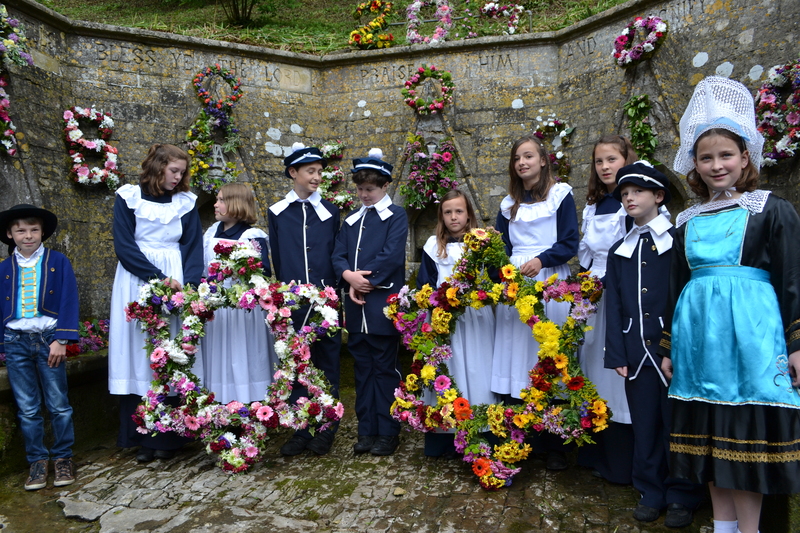 A team of 100 or more people are involved in the dressing and each well dressing takes the week to finish. 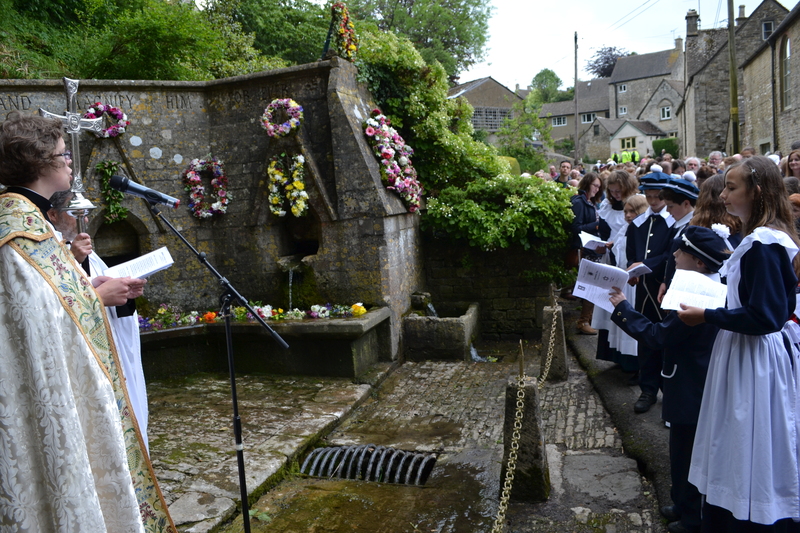 Derbyshire well dressing follows a tried and tested method, where the wooden screens which consist of a tray like structure and lined with clay which is smoothed over. There are basically four stages: immersion of the boards in water, puddling the clay, making the design and then the petalling when the flowers are applied. The immersion is done in a nearby stream and the boards are held down with stones to ensure they become thoroughly sodden which helps the clay attach and stay moist for longer. A typical screen is made of five shallow wooden trays erected at an elevation of at least 9ft by 71/2 feet according to the Youlgreave website. Over this a paper template is made and the design is set out with lines draw from it. These designs are some of the best in Derbyshire, with biblical themes and text being the dominant feature. What the design is made from varies but only natural materials are used: petals, seeds, moss, and leaves being pressed into the clay to make the picture. The competitive spirit between the welldressing teams has produced some of the best in Derbyshire and although best to be seen on the weekend of their installation, even after the clay has cracked and changeable British weather has done it worst they still shine in their artistry.